Ghana is a West African state which opens out onto the South Atlantic Ocean. Today it is bordered by Burkino Faso to the north, Togo to the east, and Ivory Coast in the west. Inhabited by 1500 BC, the various peoples who make up modern Ghana may only have arrived in any great number between around the eleventh to thirteenth centuries AD. The region witnessed the rise of various kingdoms such as those of the Asante and Fante (Ewe and Ga), before contact with Portugal and then Britain opened it up to trade and colonisation. The country's best-known (semi) historical period before the modern age was that of the Old Ghana empire, or Wagadou, despite it being nothing to do in geographical terms with modern Ghana. This empire was at its height in the last part of the first millennium AD, but much of its detail was not recorded, at least not in any form that has survived for modern scholars. Emerging from prehistoric beginnings, one of western Africa's greatest pre-colonial states was that of the empire of Old Ghana. The native name for this state was Wagadou, as the phrase 'ghana' simply means 'king'. Even so the latter term is the one by which the empire is generally known. The empire of Ghana supposedly emerged following incursions by Berber tribes which caused the collapse of the previous social organisation, the Dhar Tichitt culture which was at its height by about 1600 BC but which was beginning to abandon sites due to encroachment by the Sahara by 300 BC. Whether the people of this culture played any part in the foundation of Old Ghana is unclear, although they would certainly have provided some influence. The possible inward migration of other groups such as the Akan have also been claimed as the founding force behind the empire. At its height in the ninth and tenth centuries AD, the Old Ghana was located across what are now south-eastern Mauritania, western Mali, and eastern Senegal (which means that it bears virtually no relation to the modern state of Ghana, other than the shared name). 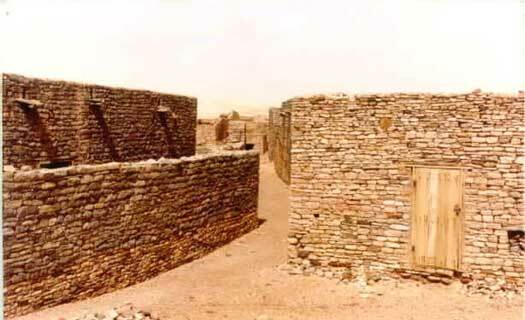 The capital was at Kumbi Saleh (or Koumbi Saleh) a now-ruined medieval town which sits in south-western Mauritania, very close to the border with south-western Mali. An eleventh century Arabic writer described it as essentially two towns, one for foreign traders and one for the royal court, separated by a distance of no less than 9.7 kilometres (six miles). Unfortunately that description of the capital cannot unambiguously linked to the ruins at Kumbi Saleh, leaving some room for doubt that this was actually the capital's location. The succession was matrilineal, but not via the king's own wife. Instead it was via his sister so that he would know for certain that the child was hers, and therefore a relative of his (ignoring one flaw which still existed in that argument - that he couldn't be certain that a sister really was that). Old Ghana controlled the Mandinka tribes of Mali, including Mali's own pre-imperial kingdom of Kangaba. The traditional theory regarding the fall of Kush (otherwise known as Nepata or Meroë) is that the kingdom is destroyed during an invasion by Ezana of the Ethiopian kingdom of Axum. To contradict this, the Ethiopian account seems to describe the quelling of a rebellion in lands they already control. 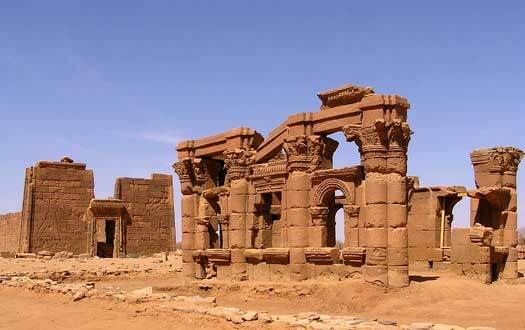 It also refers only to the Nuba, and makes no mention of the rulers of Meroë. However, no details of rulers of Kush are known after this date, making their survival unlikely. There is a possibility that the kings, or at least something of the royal family, move to Pachoras and re-found the kingdom as Nobatia. In addition the Akan people who have - according to tradition - migrated into the region from West Africa are claimed to migrate west again upon the fall of Kush. Eventually they form small tribal states in what is now Ghana, and possibly even the empire of Old Ghana itself. If the latter is correct then Kaya Maja, shown below, could be a prominent Akan/Ghanaian leader at this time in the Akwar area of what later becomes Sudan. Ruler of small settlements in the Akwar area. Name unknown. Tribal leader during the long migration? The Tarikh al-fattash claims a total of twenty-one kings (include the samples shown above and below this entry) rule Old Ghana in succession although their names are not known. If Kaya Maja is indeed a tribal leader in the Sudan region then his successors would likely be tribal leaders during the long migration into Old Ghana. It will take then around four hundred years to found the state of Old Ghana (if indeed it is the Akan people who are responsible for this). Evidence shows that, following the introduction of the camel into western Africa in the third century, gold is being exported from western Africa prior to the Islamic invasion of Africa in the seventh century. Despite Old Ghana probably not yet being in existence as a state, those exports probably originate from the same area, and are enjoyed by the Roman empire to the north. Oral history and Arabic records claim a further twenty-one kings rule in succession in this period but once again their names are unknown. Tradition describes Old Ghana as being founded in the early eighth century by a man named Dinga. He is ascribed an origin in the east - supposed to mean Aswan in Egypt - and is claimed as leaving many children behind him as he migrates across the western Sudan. Upon his death his two sons, Khine and Dyabe, contest the kingship, and Dyabe is victorious. 'Son of Dinga'. Soninke ghana. Founder of the kingdom? Another period of 'lost' history exists here for the empire as oral history fails to remember the names of several more kings, let alone their deeds. The Arabic writer al-Ya'qubi, working in 889-890, describes a core Ghanaian state which governs a wide spread of sub-kings such as those who are named Sama and 'Am. Soninke ghana. Refused to convert to Islam. Nephew. Soninke ghana. Refused to convert to Islam. Fourteen years of war against the fanatical Almorivids ends with the capture and burning of the capital at Kumbi Saleh. The Almoravids are unable to hold onto their prize though, and the much-weakened Ghanaians retake it. The Mandinka of Mali take the opportunity to break away from Ghanaian rule, while the weakening of Old Ghana seems to be a major trigger for the migration (or increased migration) into the region of the Akan people of the Sahel. Ghana ceases to be a commercial or military power after 1100, at least partially due to new trade routes being opened to its east which robs it of most of its trade in gold and salt. For a brief period, until about 1230, the rabidly anti-Muslim Sosso people control a kingdom that makes up the southern portions of the Ghanaian empire, but the Almorivid revolution effectively halts the growth of kingdoms and empires in the Sahel for almost a century. Old Ghana has become so weakened that it is dominated by the Sosso people, possibly during the reign of Diara Kante. He rebels against their control and forms a loose confederation of Mande-speaking states which possibly also includes its former subject state at Kangaba. Temporarily a vassal of the Sosso people. Sosso king, with Soumaba Cisse as his vassal. Ally of Sundiata of Mali. Old Ghana subsumed within Mali. The kingdom effectively falls to Mali in 1237 (sometimes given as 1240 and probably less of a fall and more of an absorption). Akan people are now migrating freely into former Old Ghana territory, if they had not already been doing so since about 700. The trading state of Bonoman (otherwise known as Bono Manso or Brong-Ahafo) which has been created by the Abron people forms a medieval Akan kingdom that gives birth to several small Akan states. It is located in the modern Brong-Ahafo region of modern Ghana and eastern Ivory Coast, in a large chunk of central western Ghana which crosses the modern border. Those small Akan states that are created following the rise of Bonoman start with Twifo-Heman in the fifteenth century. The general view is that the Akan people migrated into the southern edges of the forests of what is now Ghana from a broad band of territory on the southern edge of the Sahara Desert known as the Sahel. That migration took place around the eleventh century AD, during a period in which the kingdom of Old Ghana was dramatically weakened by a devastating conflict with the Almorivids. There is a body of opinion that it was not a mass migration, however, but a general trickle of smaller groups - families - arriving in the area and already speaking a language which was generally similar to that of the locals. When Old Ghana fell, the trading state of Bonoman was established by the Abron people. Created as early as the twelfth century this was located to the north of the River Beresu (Sene). Its territory lay immediately to the north of the later Ghanaian Asante kingdom. Bonoman fed off the subsequent gold boom in the region, expanding the area under its control pretty rapidly. In various waves, Akan groups migrated away from Bonoman to found their own minor states which also based their prosperity on gold mining. They began clearing areas of the forest so that they could cultivate food crops, allowing their numbers to increase. Farming prospered, producing wealth in food, and some of the Akan communities in time coalesced into small states and minor kingdoms. At least two of these new kingdoms became prominent - those of Akwamu in the south and Denkyira in the central western area of Akan territory. A third state - Kwaaman - was the product of continued conflict between the others. Today the Akan predominantly populate Ghana and Ivory Coast in West Africa, making up the largest grouping within each nation. Often claimed as a ruler of Old Ghana is Reidja Akba. Given the fact that the empire had been terminated almost two hundred years earlier, this is impossible. Instead he rules a swathe of small settlements in the Akwar region, but virtually nothing else about him is known. Ruler of the small Akwar-area settlements. The Akan state of Twifo-Heman is formed around 1480, one of the first to be created by the newly-arrived Akan people. However it soon fragments. Various clan states are subsequently formed by increasing numbers of immigrant Akan communities, with Denkyira becoming prominent in what is now central Ghana, and Akwamu in central southern Ghana. Another state which starts off small and insignificant is that of Kwaaman. Kwaaman (otherwise known as 'Kwaaman State') was a small clan state that was founded by the Akan people, deep in the forests of what is now Ghana in West Africa. It was one of a patchwork of Akan communities that were at this time coalescing into nascent minor kingdoms following migration from Bonoman. At least two of these new minor kingdoms, Akwamu in the south and Denkyira (pronounced Dench-ii-ra, and otherwise known as Denkyera) in the central western area of Akan territory, became prominent and powerful. For around a century and-a-half Denkyira held the upper hand in central Ghana because it had the best gold reserves, and gold meant power, while Akwamu expanded its own territory eastwards, towards southern Togoland and into Benin. The origins of Kwaaman are, as usual for this period and region, almost entirely obscure, just like those of Akwamu and Denkyira. It seems to have begun as a small settlement by one of the last groups of Akan migrants to arrive. All of the migrants had already begun to start clearing areas of the forest and to cultivate food crops, allowing their numbers to increase. They needed more labour to clear additional areas of the forest, so they took slaves to help. Farming prospered, producing wealth in food, and that drove the Akan on to achieve more. Only a list of names of Kwaaman's rulers is known. Anything else about them is largely the product of oral tradition and should be viewed with suspicion. Even the existence of the great Akan king, Osei Tutu, cannot be confirmed by historical evidence. Support given by Akwamu helped this minor clan state to prosper by protecting it from Denkyira. According to tradition, towards the end of the seventeenth century Okomfo Anokye, chief priest of Osei Tutu, planted two trees in the forest and predicted that one tree would live and become the capital of the Asante kingdom. One tree faltered and died while the other, at Kwaaman, lived and this was given the name 'Kumasi', which either means 'the tree that lived' or which derives from 'Kum-ase', meaning 'under Kum', the kum tree under which the king and his people would often sit. Either way, the capital of Asante was confirmed. The first surviving name in a list of Kwaaman rulers. 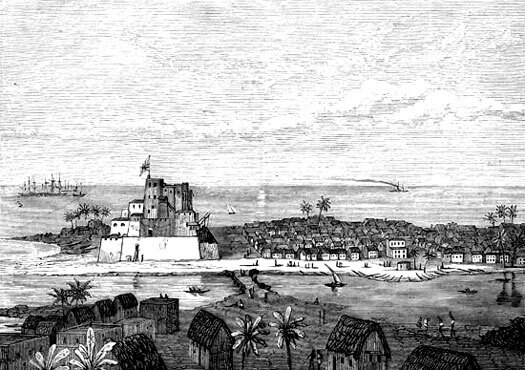 English Gold Coast is created by the Company of Merchants Trading to Guinea (referred here as the CMTG to save space - known as the Company of London Merchants from 1651), with Kormantin as its chief post. The Kwaaman state is separated from this coastal strip by the Fante people, so that the first effects of its creation are not felt this far inland (but this also means that neither Akwamu or Kwaaman are properly recorded for posterity). Gold Coast's known governors are shown here with a shaded background to differentiate them from Kwaaman's native rulers. English governor of Gold Coast. Kwaamanhene and then kumasehene of Kwaaman. English chief factor of the CMTG. The Kwaaman clan state expands under the leadership of Otumfuo Nana Oti Akenten. He wages a series of successful military operations against neighbouring Akan states, bringing a larger surrounding territory into alliance with the Kwaaman state, which can also be known as the Kumaseman state from this point forwards. This suggests that the chief settlement of Kwaaman has already been renamed Kumasi or Kum-ase and that the tale of its founding by Osei Tutu has been lifted from earlier tradition. The rulers of the expanded state are titled kumasehene, but Denkyira is still the region's dominant state. English chief factor for the second time. Six employees of the Company of Merchants Trading to Guinea manage the administration of the Gold Coast colony during this period. Their names are unknown. English chief factor for the third time. English chief factor for the fourth time. English chief factor for the second time. Died. English chief factor of the Company of London Merchants. English agent of the East India Company. English agent of the East India Company. First name unknown. English agent of the Royal Company of Adventurers. Francis Selwyn's term of office as agent for the Royal Company of Adventurers is followed by a short period between September 1663 to May 1664 in which seven merchants are rotated on a monthly basis as agents. English agent for the second time. Captured by the Dutch. English agent of the Royal Company of Adventurers. Died. English agent-general of the Royal African Company. English agent-general of the Royal African Company. Died. Obiri Yeboah has been steadily building up a union which will become known as the Asante. His death places the future of that union in doubt, but he is succeeded by his sister's son, Osei Tutu, who has a father who is from Akwamu. Osei Tutu not only continues his uncle's work in regard to the union but now ensures the protection of Akwamu when he offends the dominant king at Denkyira. Nephew. Turned Kwaaman into Asante kingdom around 1701. Denkyira's neighbours begin to band together under the leadership of Osei Tutu who is largely protected by Akwamu. The subsequent destruction of Denkyira as a leading power gives birth to the Asante kingdom under Osei Tutu. He forms a capital at Kumasi and he and his successors rule as the asantehene, the king of all Asante. They use their newfound wealth to ensure prominent displays of gold as a symbol of their grip on power. Previously independent neighbouring states are gradually integrated into the expanding kingdom. Their chiefs are made subjects, and their territories are made regions of the new kingdom. Captive enemy warriors are enslaved and put to work in feeding the economy and helping to further expand the kingdom. Akwamu to the south remains an honoured friend and supporter. English chief merchant of the Royal African Company. Around this time the growing Kwaaman clan state has built up enough momentum to form the kingdom of Asante in what is now central Ghana. Only now does it begin to come into contact with the Gold Coast territories to its south. In a history of Africa that can at times be difficult to uncover, one kingdom that stands out is that of the Asante (or Ashanti). One of the continent's most impressive kingdoms, it was built on slaves and gold. The kingdom was founded deep in the forests of what is now Ghana in West Africa, an unusual location from which a sophisticated kingdom could emerge. The kingdom's origins are almost entirely obscure. Archaeologists of the University of Ghana have recently discovered terracotta artefacts in the forests dating to the ninth and tenth centuries. They depict animals and humans and are believed to have formed part of a shrine, but who built it is another question, as it was raised in the time of Old Ghana. To date no link has been found between these objects and the Asante kingdom. Its ancestors were the Akan, who hunted for food in the depths of the thick forests in the fifteenth century but who underwent a remarkable transition between then and the seventeenth century. 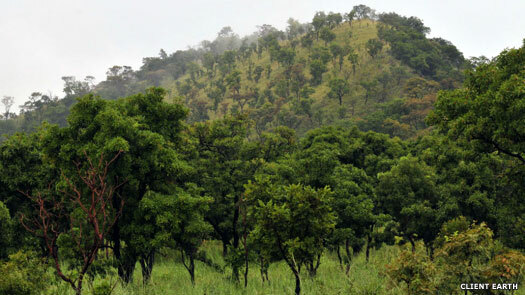 They started to clear areas of the forest and cultivate food crops, allowing their numbers to increase. They needed more labour to clear additional areas of the forest, so they took slaves to help, albeit slaves of a less oppressive and more socially flexible nature than was often the case with the later Transatlantic slave trade. Farming prospered, producing wealth in food, and that drove the Akan on to achieve more. Then they discovered gold. By the mid-1600s, a patchwork of Akan communities had grown into minor states, one of which was the Asante precursor state of Kwaaman. The most powerful of these states was Denkyira (pronounced Dench-ii-ra) in the central western area of Akan territory, which had the richest gold mines in the forest. Denkyira's great wealth meant that it controlled the local economy and slave trade, so its neighbours banded together under the leadership of Osei Tutu of Kwaaman (born perhaps in the 1640s but with a somewhat doubtful existence that cannot be confirmed by historical evidence). The subsequent destruction of Denkyira as a leading power gave birth to the Asante kingdom. With the guidance of his chief priest, Okomfo Anokye, Osei Tutu formed a capital at Kumasi which, in the eighteenth and nineteenth centuries, was the centre of the kingdom's power. He and his successors ruled as the asantehene, the king of all Asante, and they used their wealth to ensure prominent displays of gold as a symbol of their grip on power. The territory that largely forms modern Ghana essentially became two rival states when Britain established its own coastal colony in 1621 - Asante and Gold Coast - and only one of them would win the struggle for superiority. 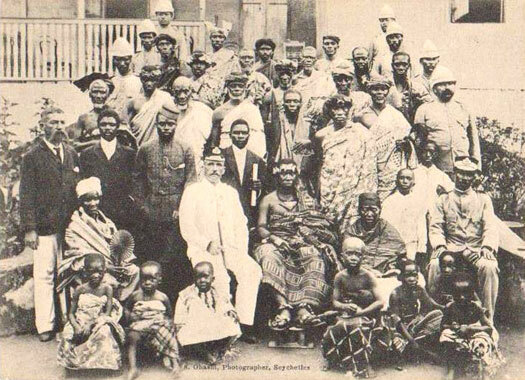 At first, the British colony was a relatively minor affair, and those of its governors who are known are shown here with a shaded background while the asantehene are shown as normal. Turned Kwaaman into the Asante kingdom. Ambushed and killed. English Gold Coast becomes British Gold Coast on 1 May. The Asante use their trading networks to sell slaves for profit to the British and other European nations who trade along the coast (see feature link, right). In return, they buy European weapons which they use to further increase the size of the kingdom. British agent-general of the Royal African Company. British captain-general of the Royal African Company. Died. Relationship to Osei Tutu unknown. During his reign, Opuku Ware fights wars of expansion that bring the northern states of Mamprusi, Dagomba, and Gonja under Asante influence. He also defeats the Bono, another Akan state, by 1723. British captain-general of the Royal African Company. British captain-general for a second time. Well south of the early Asante kings, the administration of Gold Coast is reformed, using a resurrected three-man triumvirate format, with only the senior-most of them shown here. The individuals involved rotate regularly, usually on an annual basis, and the same senior chief agent may oversee several such rotations, often with the same names cropping up many times. British chief agent of the Royal African Company. British governor of the Royal African Company. The Company of Merchants Trading to Africa takes over administration of Gold Coast from the Royal African Company (which retains its legal rights until it is dissolved in April 1752). The last governor of the Royal African Company is also president of the council until December 1750, and he continues his role as governor under the Committee of Merchants. British governor of the Committee of Merchants of the Gold Coast. British governor for the second time. Unpopular ruler who killed family members and subjects. By now, Asante has grown to such a size that it has a population of two million, an incredible number for nineteenth century Africa. It has more than doubled its size since the seventeenth century, incorporating territory that is a sixteen day walk away from the central capital at Kumasi. During his reign, Osei Bonsu defeats the Fante confederation and dominates Gold Coast trade. The slave trade in Britain is abolished, and Asante is affected. Trade has to switch to other products and Kumasi suffers a population drop as people move towards the southern provinces, nearer the coast, to engage in new trading ventures. Payment in gold for European items causes a shortage, so gold is hoarded and becomes even more scarce. However, Asante has already started to expand towards that same coast, impinging on neighbouring Fante territory from 1806. By 1814 the Fante are broken. British commander of Fort Winnebah. Killed by natives. Thomas Bowditch visits the kingdom from England and writes a remarkable account of his attendance at the royal court, noting its lavish display of showy cloths and silks, animals, and golden swords. The king wields great power over his people, and is happy to display his wealth by wearing more gold than anyone else while his ministers hold the skulls of opponents who have been overcome by the king. Britain abolishes the African Company of Merchants and seizes privately held land along the coast, incorporating it into the Gold Coast colony. Suddenly Asante is forced to recognise that it is not the only major power in the region and the two begin an unspoken struggle for superiority. As far as Britain is concerned, the formalisation of the Gold Coast crown colony not only helps to keep the competing French and their Ivory Coast territory from expanding eastwards, but also gives Britain a foothold in influencing Asante's affairs. Only grass and bush separates the French West Africa territories to the north from Asante, and the kingdom of Dahomey borders Asante to the east so the French focus their attentions here instead. British governor of the Gold Coast. British governor of the Gold Coast for the second time. Killed. A misunderstanding occurs between the Ashanti, the Fante, and the British which causes the asantehene to take offence. The British prepare the entire coast defensively and the Ashanti mobilise their forces for the First Anglo-Ashanti War. The British march against them but are overwhelmed and the severed head of the governor, Sir Charles MacCarthy, is taken back to Kumasi. The fighting eventually dies down in 1831 and the region is more or less peaceful for the next three decades. British governor of the Gold Coast for the second time. 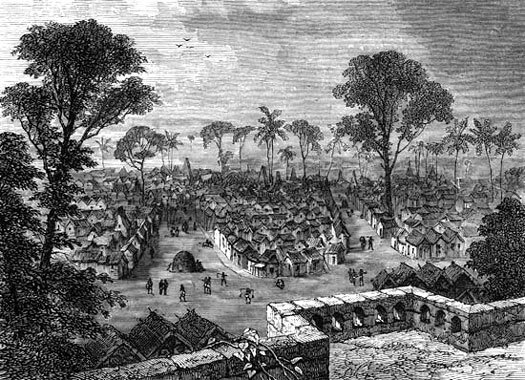 The British government allows control of the Gold Coast settlements to revert to the British African Company of Merchants, at which time relations with Asante are still problematic. From the Asante point of view, the British have failed to control the activities of their local coastal allies. Had this been done, Asante may not have found it necessary to attempt to impose a peace on the coastal peoples. MacCarthy's encouragement of coastal opposition to Asante and the subsequent 1824 British military attack has further indicated to Asante authorities that the Europeans, especially the British, do not respect Asante. Having been selected as the governor of Gold Coast by the British African Company of Merchants in 1830, Captain George Maclean immediately arranges a peace treaty with Asante in 1831. He also supervises the coastal people by holding regular court at Cape Coast where he punishes those found guilty of disturbing the peace. No confrontations occur with Asante during his period in office and trade triples. Kwaku Dua fights against the Gonja and Dagomba to the north, while to the south matters are largely peaceful. George Maclean's time in office as governor of Gold Coast has been so successful for peaceful relations and trade that a Parliamentary committee has recommended that the British government permanently administer its settlements and negotiate treaties with the coastal chiefs that will define Britain's relations with them. The government does this now, in 1843, reinstating crown government. Commander Henry Worsley Hill is appointed the first 'proper' governor of the Gold Coast. On 13 January 1850 the administration of Gold Coast is separated from that of Sierra Leone which, until now, has provided the function of 'head office' to which the Gold Coast governors have had to report. On 30 March 1850, the former Dutch Gold Coast settlements are incorporated into the British territories. Two years later, in April 1852, growing acceptance of the advantages offered by the British presence leads local chiefs and elders to meet at Cape Coast to consult with the governor on future means of raising revenue. With the governor's approval, the council of chiefs constitutes itself as a legislative assembly, albeit without any formal powers. Acting British governor of the Gold Coast. The brief Second Anglo-Ashanti War is triggered when a large Ashanti force crosses the river in pursuit of a fugitive by the name of Kwesi Gyana. The British governor of Gold Coast defends the territory under his command but his request for more troops from home is declined and sickness forces him to withdraw. Although the relationship between Britain and Asante is one of advantageous mutual trade, some of the southernmost Asante provinces have gradually turned to the British for protection following the ending of the slave trade and the migration of people away from the capital. Now Asante decides that it wants firmer, more direct control of these wayward provinces, but to have the kingdom strong and fully in control of all trade is not in Britain's best interests. The two sides begin to manoeuvre for superiority. Grandnephew. Dethroned following his defeat. As tensions mount between Asante and the British, the Asante take several Europeans hostage. This is the signal for the Third Ashanti War. In February 1874, Under Wolseley's command British troops march into Kumasi, the first foreign troops to do so. They burn it to the ground and Asante is forced to accept the loss of its southern provinces. In August 1874, these provinces become part of the aptly-named British Gold Coast colony. The Asante remove Kofi Karikari from the throne following his defeat and replace him with Mensa Bonsu. Younger brother. Forced to abdicate and banished. Acting British governor for the second time. Acting British governor for the third time. Having lost much of its prestige with the comprehensive defeat of 1874, the Asante kingdom is heading towards civil war as other provinces demand more freedom, or simply detach themselves from the confederation to seek closer ties with Gold Coast. 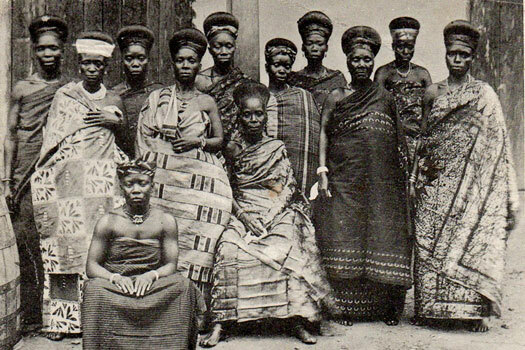 King Mensa Bonsu undertakes punitive expeditions seemingly only as part of his own pursuit of gold and women, and two attempts to dethrone him are made (1877 and 1880), with the the third being successful in 1883. The Asante Civil War follows almost immediately and lasts for five years. Died following a short illness. Interregnum followed until 1888. British governor for the second time (first time acting). The Asante empire has been managed since 1884 by an interim council until 1887 and then by a regent. Now the various factions in the Asante Civil War agree to a peaceful settlement which sees a new asantehene ascend the throne, the sixteen year-old Prempeh I (originally known as Prince Kwaku Dua III prior to becoming king). With fighting against Gold Coast continuing to break out, Britain decides that Asante should become part of the British protectorate. King Prempeh refuses to accede of course, so another British expedition reaches Kumasi after a hard-fought campaign, this time under Colonel Sir Francis Scott. The Fourth Ashanti War sees Prempeh forced to accept exile, along with his immediate family and some close advisors. They are given passage to Sierra Leone where they remain for three years before being moved to the Seychelles. The removal of the asantehene stops Asante's resurgence dead in its tracks. 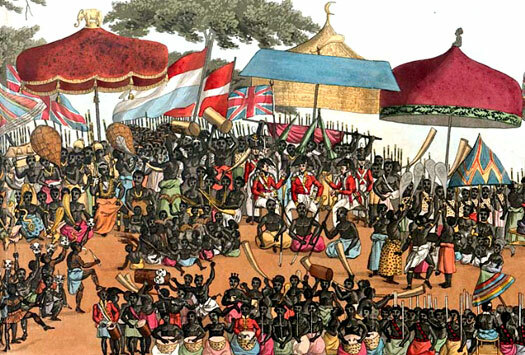 The position of rulers is now reversed, with the Asante kings being shown with a shaded background and the British governors being shown as normal. Protection is now extended by the British to the Northern Territories whose trade with the coast had formerly been controlled by Asante. This is prompted primarily by the need to forestall the French and Germans, who have been making rapid advances in the surrounding areas. Asantehene of Asante in exile. British governor of the Gold Coast (acting until May 1898). Asante is forcibly incorporated into the British Gold Coast crown colony (it having gained this status on 26 September 1901), along with the Northern Territories, which had not belonged to the kingdom itself. Having already amicably demarcated the boundaries between the Northern Territories and the surrounding French and German colonies (in 1898 and 1899), the Northern Territories are now proclaimed a British protectorate. Save for the later addition of British Togoland, this creates borders for the colony that are essentially those of modern Ghana. 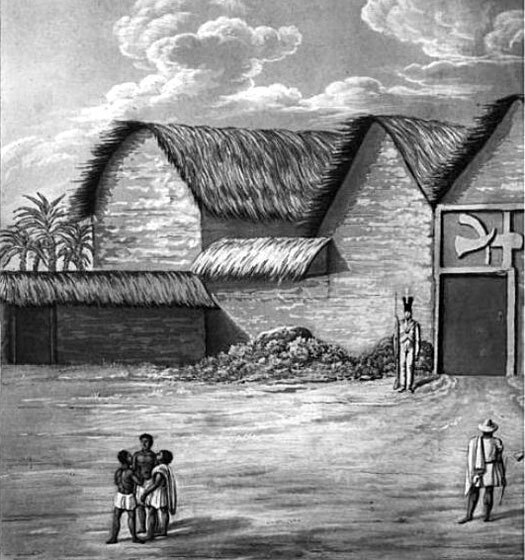 The first legislative council elections take place in Gold Coast, and King Prempeh is allowed to return to his homeland. Provincial councils of chiefs are established in all three of the colony's territories, partly to give the various native chiefs a colony-wide function. This move is followed in 1927 by the promulgation of the 'Native Administration Ordinance', which replaces an 1883 arrangement that had placed chiefs in the Gold Coast colony under British supervision. The purpose is to clarify and to regulate the powers and areas of jurisdiction of chiefs and councils. British governor for the second time (the first time acting). Nephew of Prempeh I. Asantehene of Asante. The Native Authorities Ordinance combines the central colonial government and the local authorities into a single governing system. New native authorities, appointed by the governor, are given wide powers of local government under the supervision of the central government's provincial commissioners, who provide assurance that their policies will be those of the central government. British governor. Became first post-colonial governor-general. The British half of Togoland, a thin strip of territory running the length of the Gold Coast's eastern border along and above Lake Volta, elects to join Gold Coast via a plebiscite which is pushed by the United Nations in 1956. The following year modern Ghana is formed from the merger of these two colonial possessions - Gold Coast and British Togoland. Known formally as the republic of Ghana, the modern state is located on the southern coastline of Western Africa, which is known as the Gulf of Guinea. It has its capital at Accra, which is also its largest city, and operates as a unitary presidential constitutional democracy. It is bordered by Togo to the east, Burkina Faso to the north, and Ivory Coast to the west. Modern Ghana was formed from the merger of two colonial possessions - the Gold Coast and British Togoland. The Gold Coast was formed in 1874 after Britain and the kingdom of Asante fought a brief war to see who would be master in the region. Britain won, and Asante's southern provinces (including Akwamu) were removed from it to become the Gold Coast. British Togoland was formed in 1916 by splitting occupied German Togoland into French and British divisions. The French half eventually became Togo, The British half, a thin strip of territory running the length of the Gold Coast's eastern border along and above Lake Volta, elected to join Gold Coast and form Ghana via a plebiscite which was pushed by the United Nations in 1956. 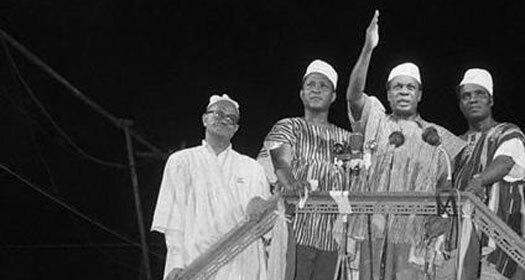 Thanks to the 1956 plebiscite, Ghana became the first sub-Saharan African nation to gain independence. A presidential democracy was established, initially led by one of the main activists against colonial rule, Kwame Nkrumah. Despite years of military coups and rule, today it is one of Africa's most advanced sub-Saharan states, offering a remarkably stable and peaceful life for its twenty-seven million-or-so inhabitants (in 2014). It also has some of Africa's largest reserves of gas and oil, and is a major diamond and cocoa producer, all of which contribute to its comparative wealth. The former Asante kings are still elected as king of the Asante themselves, and still weild considerable political power, but they play no part in the nation's politics. Their residence is at Kumasi, the Asante capital which lies near Lake Bosumtwi in south-western Ghana. Successive Asante kings are shown with a shaded background. British governor-general. Former Gold Coast governor since 1949. Ghana's 'First Republic' period begins upon the withdrawal of the British governor-general. Kwame Nkrumah, one of the leaders of Ghana's push for independence, takes the reigns of power as the country's first president. In 1964 the country becomes a one-party state. Kwame Nkrumah is deposed by a military coup whilst abroad on official duties, perhaps with support from the USA. Chinese and Russian technicians are expelled from the country. The coup is one of many during these years, with rule being handled by various councils. A new constitution facilitates the transfer of power to a civilian government which is led by Kofi Busia. This is Ghana's 'Second Republic' period, which is halted by another unelected change in power when Busia is ousted in a military coup that is led by Colonel Ignatius Acheampong. Nephew of Prempeh II. Asantehene of Asante. Military coup leader. Forced to resign. Executed in 1979. Military general. Deposed and executed. 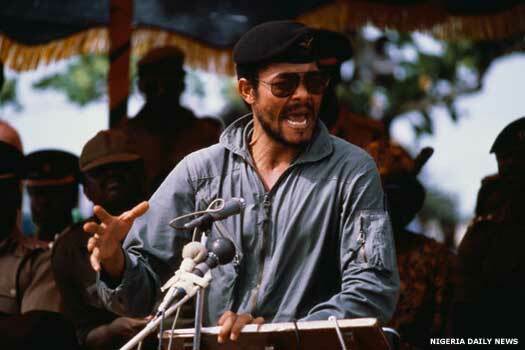 Akuffo is deposed in coup led by Flight Lieutenant Jerry Rawlings. He has Acheampong and Akuffo executed. In September of the same year, Rawlings hands over power to an elected president, Hilla Limann. This is Ghana's 'Third Republic' period. Flight Lieutenant Jerry Rawlings stages his second coup and takes power again, ending the third republic and ousting President Limann after two years of weak government and economic stagnation. Rawlings suspends the constitution and bans political parties, replacing them with conservative leadership and abolishing subsidies and price controls. Many Ghanaians emigrate to Nigeria during the period, but Nigeria forcibly returns many of them in 1983. Slowly the country begins to recover. Seized power for a second time and retained it. In April a constitution allowing for a multi-party system is approved in a referendum, ushering in a more permanent period of democracy. This is Ghana's 'Fourth Republic' period. After overseeing this process, Rawlings is elected president, twice, serving until 2000. The country is a secure and stable democracy by now, which sees free and fair elections on a regular basis. Land disputes in the north erupt into ethnic violence. Ethnic clashes between the Konkomba and the Nanumba have been taking place over land ownership, but the bloodshed now results in the deaths of a thousand people and the displacement of a further 150,000. Formerly Prince Nana Dua. Asantehene of Asante. This year is a troubled one for Ghana. In February, petrol prices rise by 60% following the government's decision to remove fuel subsidies. In April the country accepts debt relief under a scheme designed by the World Bank and the IMF. In May, a national day of mourning is proclaimed after a football stadium stampede leaves 126 people dead. An inquiry blames the police for overreacting to crowd trouble. In June, the government scraps a public holiday that celebrates Rawling's military coup in an effort to wipe out the legacy of his rule. Finally, in June floods hit Accra, causing ten deaths and forcing 100,000 to flee their homes. A state of emergency is declared in the north in April after a tribal chief and more than thirty others are killed in clan violence. The state of emergency is lifted in August 2004. Ghana experiences mixed fortunes in 2007 but with the promise of better times to come. In June a major offshore oil discovery is announced. President Kufuor states that the oil will turn Ghana into an 'African tiger', a reference to the rapidly-growing Far Eastern economies of the early part of the twenty-first century. In September, Ghana suffers its worst floods for more than thirty years, causing widespread devastation and destroying much of the annual harvest.